It’s been months in the making. 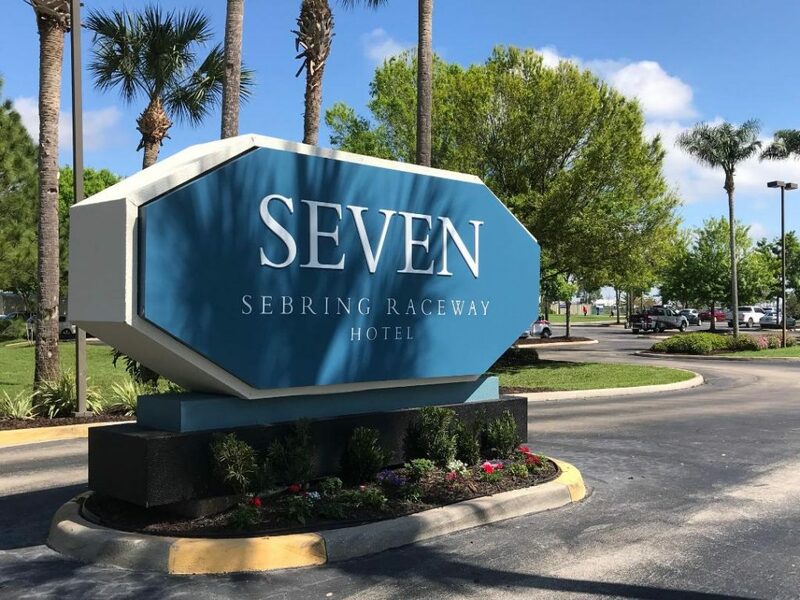 Now, like a butterfly, Seven-The Sebring Raceway Hotel has emerged just in time for Race Week. The place was painted Sebring Blue earlier this year. The entrance sign now beckons visitors. 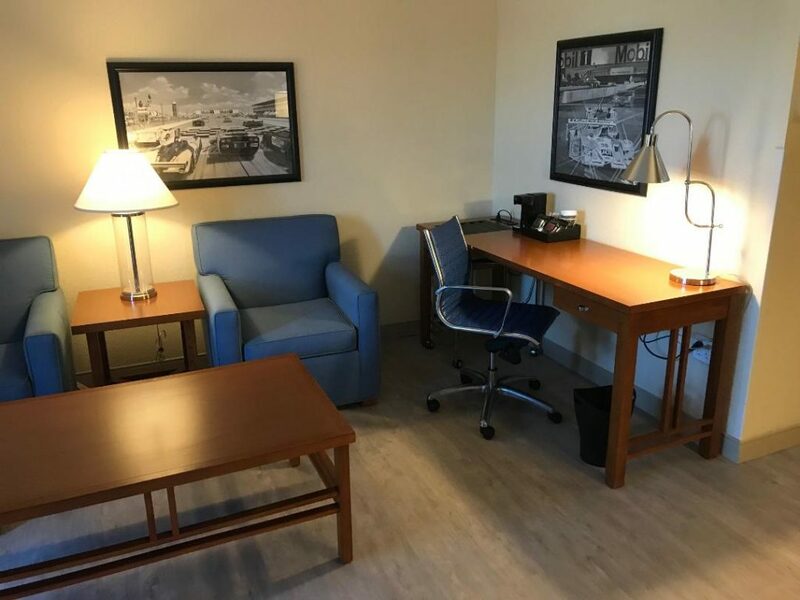 The hotel was christened just in time for the beginning of Race Month at the world famous Sebring International Raceway. The work is being done in a cooperative venture between IMSA Properties and the Shaner Hotel Group, The managers of the 123 room facility. 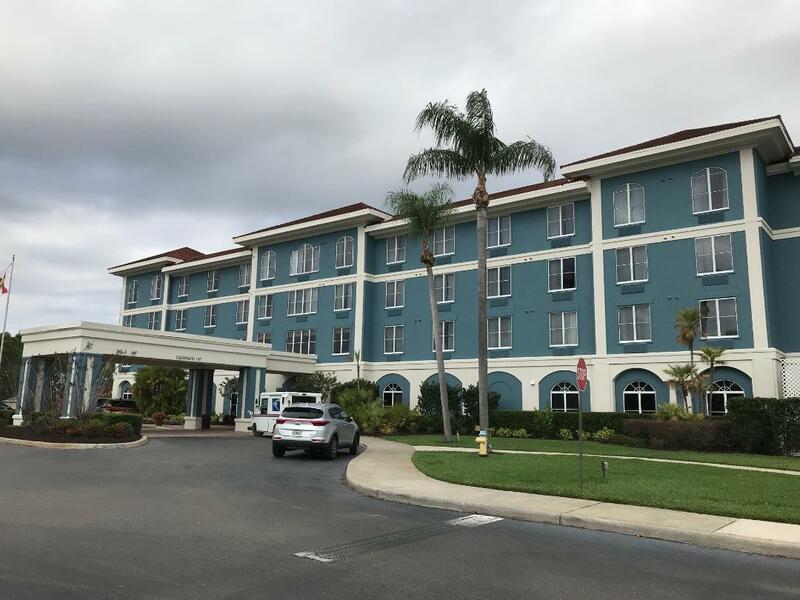 Shaner Hotel Group is one of the foremost owner-operator companies in the hospitality industry, They boast more than 50 hotel properties owned and managed across the U.S., Italy and the Bahamas. The rooms are being redone in an effort to bring an efficiency of style while maintaining the motorsports theme. While the interiors of the rooms might look a bit different, the hotel’s trackside lodgings retain their commanding views of Turn 7. Also known as The Hairpin, it definitely is one of the most exciting spots on the historic raceway. The trackside views are some of the best in racing anywhere in the world. 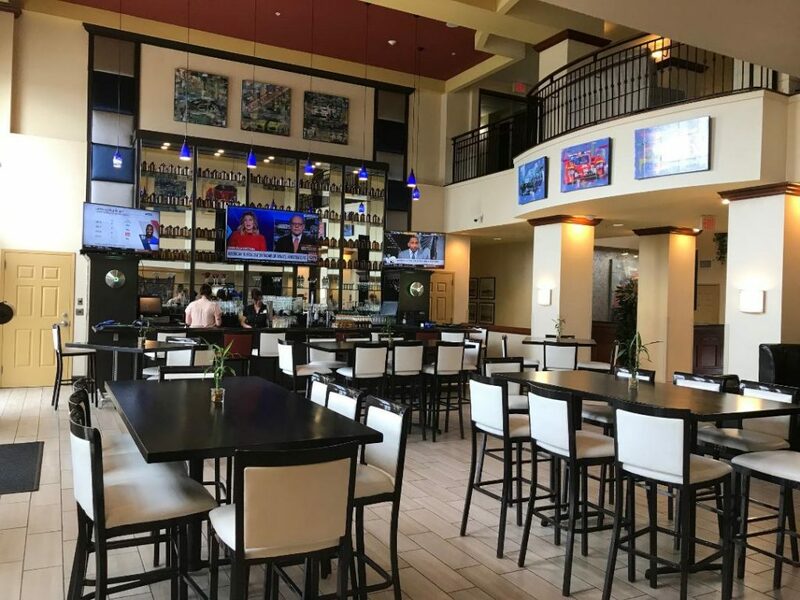 In addition to the remodeling of the rooms, Shaner officials announced that the hotel’s famous restaurants also have been rebranded. There’s ” Apex at Seven,” with a laid-back atmosphere and delicious food, then there is the breakfast restaurant, dubbed Sunrise at Seven. Those who wish might also take a trip to the outside patio. 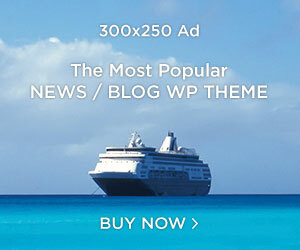 There they can see professional drivers in some of the most exotic cars on the planet challenging the historic course. 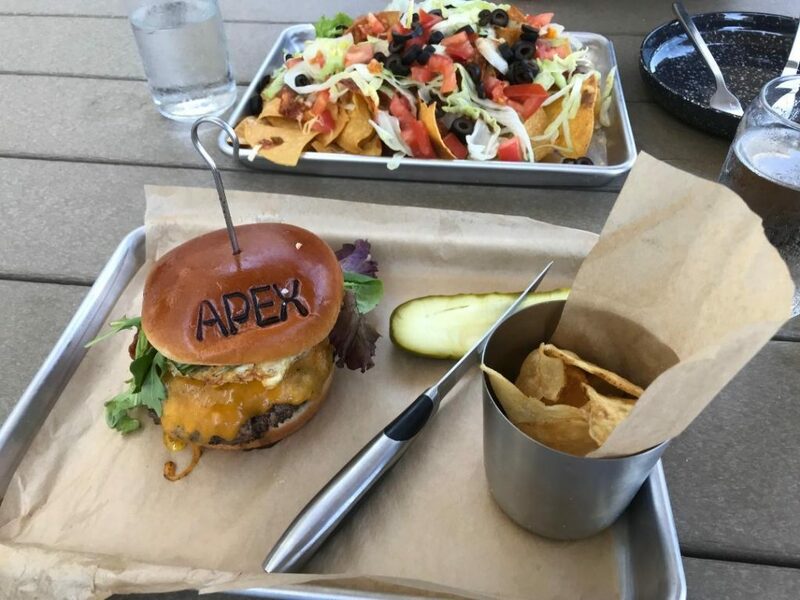 The APEX lunch menu has a wide selection of comfort food. There’s a full list of craft burgers. Other hand-helds include; chicken, fish and even gator! Naturally there also is a range of soups and salads. Guests may also enjoy sharable appetizers like fried pickle chips, Nachos, wings and one giant Sea Salt Soft Pretzel. The Sebring and an order of nachos will keep you busy for a while. For those who want a bit of added enjoyment during the races, there’s a pool, plus your choice of over-sized games. Play Jenga, corn-hole and chess as the cars roar by on the track. 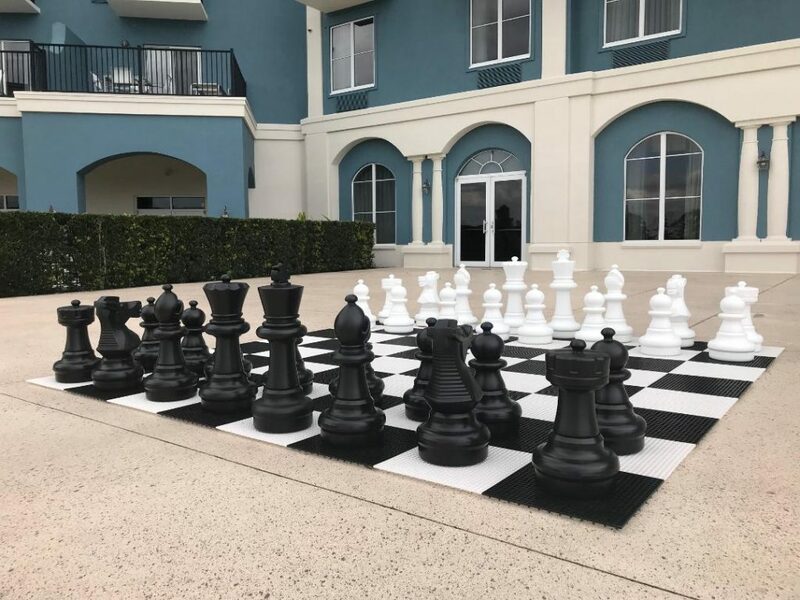 These huge chess pieces are just part of the fun at APEX at Seven. The best part is, you don’t have to wait until the third week in March when the Mobil One 12 Hours of Sebring takes to the track. There are many events at the Sebring International Raceway throughout the year such as Sports Car Club of America races, plus vintage, historic and even club races. Heck, there is so much fun here, guests don’t have to wait for a racing event to enjoy good food, fun and fellowship. 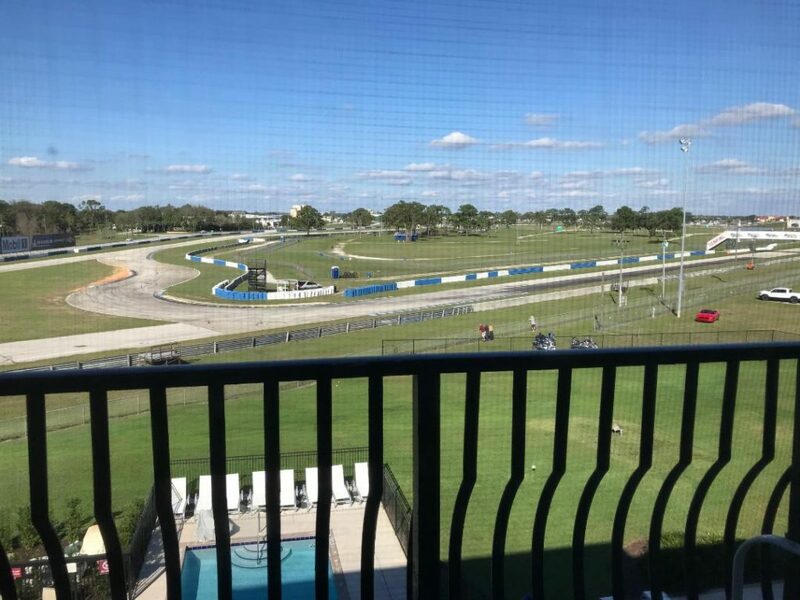 Find out more about Seven – The Sebring Raceway Hotel at their web page.